Nowadays, people find it hard to distinguish marketing from public relation (PR), due to the emergence of social media, which filled the gap amidst these two. However, they are two different concepts. While marketing is mainly concerned with the promotion and sales of the product, Public Relations (PR) is intended to create and manage a favourable image of the company amongst the public. Meaning Public Relations (PR) refers to the process of maintaining positive relationship and managing the flow of information between company and the general public Marketing is defined as an activity of creating, communicating and delivering products and services of value to the customers. Public Relations is defined as an act of managing the dissemination of information amidst the company and the general public. It is a process, where an organisation gains exposure to the audience through third party endorsements, wherein news or other topics of public interest are used to share organisation’s positive stories. Examples include newsletters, press conferences, featured stories, speeches, public appearances and similar other forms of non-paid communication. Public Relations aims at informing the public, investors, partners, potential customers, employees, clients, to influence them to make a positive perspective about the company and the brand. To build trust and strong public relationship with the customers the organisation may also participate in activities like donations, support of arts, sporting events, free education, etc. Different people defined marketing in a variety of ways. Some call it shopping of products or services, others call it merchandising, while some relate it with the selling of the product. In the real sense, shopping, merchandising and selling all are covered under the activity jointly known as marketing. 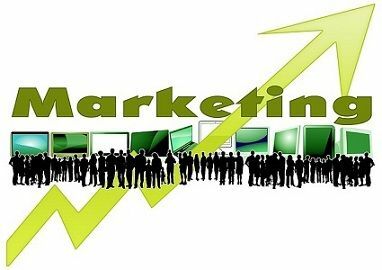 Marketing is a management process, which is concerned with the buying and selling of products and services, which includes all the activities that involve the movement of product from concept to the customer. Product designing, warehousing, packaging, transportation, delivering, advertising, branding, selling, pricing, etc. are all part of marketing activities. In short, Marketing is everything a company does to gain and retain customers. The process of maintaining a positive relationship and managing the flow of information amidst the company and society at large is called Public Relations (PR). The range of activities that includes creation, communication and delivering products and services of value to the customers, is called marketing. Public relation involves the promotion of the organisation and the brand. Although, in the case of marketing, promotion of products and services offered by the company to its customers, is done. Both marketing and public relations are a part of the management function, wherein marketing is a line function, whose contribution to the company’s bottom line is direct. On the other hand, public relations is staff function which assists organisation indirectly in achieving its goals and objective. Public relation is earned media, i.e. free media whereby the organisation gains publicity through third-party endorsements such as word-of-mouth, press conferences, news releases, speeches, etc. As opposed to marketing, whose foundation is paid media, which includes radio, television and print advertising. Public Relation covers general public as a whole whereas marketing activities are oriented towards a target audience. Marketing aims at converting shoppers into buyers, i.e. to create sales. On the contrary, public relation aims at building trust and maintaining company’s reputation. Public relation is a two way communication. As against this, marketing is a monologue activity, which involves only one way communication. Marketing activities are under full control of the organisation whereas public relation is under the control of the organisation and the external party, i.e. media outlets. The concept of marketing is broader than public relation, as the latter falls under the umbrella of the former. Therefore, both are complementary, and not contradictory strategies. Nice chunk of information. Its indeed very interesting about PR & Marketing. Will love to read it more and more time.